Roses De Chloé is the delicious scent of spring and roses - just like a Parisian rose garden. Not an overpowering fragrance, it feels light and refreshing for hours. It has top notes of bergamot, heart notes of damask rose, magnolia, plus base notes of white musk and amber. No one can escape those days where we look out at our reflection in the mirror and just feel like something either isn’t working or that something is missing. Putting together the perfect ensemble every day is no mean feat, but sometimes all it takes is a little detail here and a little tweak there to pull an outfit together. So if you are looking for a little inspiration on the ways you can make sure your outfits always look chic and stylish read on for our top four tips on how to do just that. Now that the autumn weather is officially upon us it is now time to start layering up. Blanket scarves are the perfect outfit detail in the awkward autumn weather for those days when you are not quite sure what the temperature is going be. Adding instant warmth is a practical bonus to the style elements that these oversized scarves can add to any outfit. Think bold checks for a strong effect or soft block colours for premium versatility. The ultimate accessory and every girls best friends. Jewellery is one of the best ways to accentuate outfits and pull items of clothing together. Whether your style is boho, classic or whether you are constantly mixing it up there is always an item of jewellery that can be the cherry on your outfits cake. Whether you are looking for a little mediterranean flair with Roma designer jewelry or whether you are looking for bold statement jewellery or just add some colourful accents to your look then jewellery is always at hand to help out. The issue with accessories can often be not knowing what works best with what, however the beauty of jewellery is that it is the most playful part of fashion so don’t be afraid to experiment with what works for you and what accentuates your personal sense of style. Adding a blazer to any outfit is one of the easiest ways to turn any outfit from drab to fabulous. Not only do they give us a well structured yet feminine silhouette but they also go with practically anything meaning they are the perfect mix and match autumn coat. Take it up a notch and go for a statement blazer this season in order to breath a little new life into this timeless classic. Whilst the details in our outfits are super important none of us are going to feel our best unless we are also nailing the grooming side of our look. Make-up and hair can be a sticking point for many women and not all of us are blessed with a makeup artist level of talent for making ourselves look our best. So when in doubt keep it simple. You can’t go wrong these days with messy buns and ponytails which take a matter of seconds to achieve. So on those bad hair days simply scoop it up and forget about it. The same applies to makeup. On those ‘off’ days when nothing seems to work a simple slick of lipstick, pop of cheek colour and a swipe of dark mascara will always take you from feeling tired to awake. So it really is all in the details. Being playful and experimenting with what works for you is all part of the fun of getting you out of the house every day feeling confident, fantastic and ready to face the day. Going out on a vintage binge is going to take a little bit of effort, but that means it’s worth doing. You’ve got to be careful with what you select, as a lot of second hand shops only stock those clothes nobody wants anymore, and the idea of vintage flits from person to person. It can also get super expensive, and thus having your own 50s ball gown may cost you an arm and a leg. So what can you do for your vintage needs when you’re adhering to a budget? Here’s a few ideas. Often enough, we have hidden gems at the back of our closets that we never even knew were there. Sometimes, a shirt with a frill can be considered a vintage style, so wearing it paired with other similar pieces will make it look more normal than it did when you first tried it on in the shop 2 years ago. Whatever shop you come across that looks intriguing, take a peek inside. Don’t only shop in the areas you know, as a hidden bargain could be hiding at the back of a lesser known store you wouldn’t usually touch. Charity shops and secondhand stores will be the strongest contenders here, but make sure those vintage shops that have so many antiques they’re spilling out of the shop front get a fair look too. The owners of these places are usually willing to markdown in order to make a good sale. If somewhere has a sale, make sure you go there first! You need to get a hold of as many sales as you can when it comes to thrifting for a vintage fix, as we’re not millionaires who can afford every piece we come across. Having a taste of the 50s aesthetic in your back pocket does wonders for a retro or vintage look. Pins are cheap and small enough that they’re not overpowering when you cover a certain something in them. Being on a budget doesn’t have to hold you back, you just have to be a bit smarter about your purchases. Strike A Pose - Madonna's dancers reunite after 25 years! Way back in 1990, Madonna's Truth Or Dare (or In Bed With Madonna was it was known here in Australia) was the documentary that everyone was talking about. 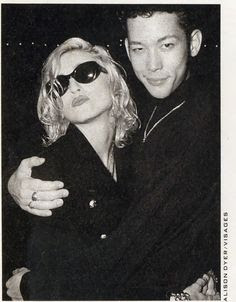 It was a behind the scenes look at Madonna's Blond Ambition Tour. It wasn't just Madonna who people were interested in, it was also the dancers. Strike A Pose sees the dancers of the Blond Ambition Tour reunite after 25 years! I cannot believe that I didn't know about this documentary until today. Without giving away details of the reunion, it was so fascinating to learn what the dancers are up to now. Be prepared though, because it's not all happy. If you are in Australia, it's streaming now on Netflix. See the Strike A Pose trailer below. For me, maxi dresses are one of the most versatile fashion pieces money can buy. They’re suitable for so many different occasions, and the styles are so diverse. As such, you’re often left wondering when you can wear a maxi dress. Today, I’m going to run through my favorite maxi dress styles, and you’ll be amazed at how different each look is. The beauty of a maxi dress is that they can be quite loose-fitting and light. Consequently, one of the most popular ways to wear one is at the beach. For anyone that’s perhaps not too confident wearing a swimsuit or bikini, this is the perfect thing to wear so you can still enjoy your time on the beach. Alternatively, it’s a great little dress to wear on top of your bikini when you’re walking to the beach or popping to a shop to get food. Don’t just take my word for it, if you head over to stylishlyme.com, you’ll see a printed maxi dress made it into the top cute beach outfits of this year. There are plenty of colorful maxi designs, which is what makes them so a brilliant part of your beach ensemble. Maxi dresses are an amazing choice when you’re attending a posh party. I’m talking about evening dinners, business conferences, any event that means you have to look your best. If you visit lotusboutique.com, you’ll see some satin maxi dresses that are ideal for this type of event. They’re classy, elegant, and look great with a pair of high heels. Personally, I think maxi dresses are the perfect dress to wear in this scenario because they’re the perfect embodiment of professional beauty. You don’t have to wear a tiny dress and show off your body to look good, it’s a piece that retains your reputation as well as enhances your beauty. You know something is versatile when you can wear it to the beach, a party, or into the office. This is purely down to how diverse the maxi dress styles are. Some are very cute and colorful, others are a little bit sexier, and then you have ones that are professional. They’d look great with a pair of boots and trousers, to really create a smart yet fun office look. It’s become a very trendy look right now, loads of women are trying it. Plus, wearing a maxi dress to work makes you feel so much more comfortable, meaning you fidget less and work more! Finally, you can wear a maxi dress when you’re going out for brunch with the gals. It’s just a dress that works with pretty much anything. Slap on a pair of trainers, get a casual maxi dress on, put on a jacket, and you’re ready for coffee and cake. Basically, you can pretty much wear a maxi dress any way you like, in almost any situation. It’s all about picking the right style for the right scenario. They’re comfortable, they make you feel good, and they just so happen to be absolutely stunning too. 2017 has seen some crazy fashion trends come with it. There are so many fashion icons out there leading the way in the industry. Some of the best clothes have been brought to us in 2017. Whether it’s a casual look you’re going for, or a more sophisticated look, take a look at these fashion trends of 2017. You might even be able to pull ideas for your summer look. One look the Kardashians have loved to sport this year is a casual sporty look. Especially Kim and Kylie. Kylie most recently appeared in this following pregnancy rumours. All you need is some tight fitted tracksuit bottoms, a crop top, either sporty or normal, and an oversized hoodie or zip up jacket. Complete the look with some trainers, preferably Adidas and you’re away. You can shop the look at site such as The Iconic. Switch between different colours, but try to stick to all neutrals and pastels rather than bright colour. Pastel pink is all the rage right now, and it’d looked lovely for a sporty casual look. This outfit is perfect for just heading to the shops, or out and about in general. And for once, girls can head out in comfy clothes without being judged. This has been a classic look for years, but this year celebs in particular, such as Rihanna, have been loving the look. It’s the perfect mix of sophisticated and casual. You’ll need either some medium blue to dark blue jeans, or black. For this look, a white blouse is going to be the best colour. Make sure the jeans are skinny, and preferably slightly ripped. The blouse style is up to you. Either leave it hanging out or tucked in. Some tucked in looks just don’t look right, so see what works best. You’ll also need to purchase some heels to get that sophisticated side of it. Either black, or a creamy/pink colour will look perfect. Finish it off with either an over the shoulder small handbag, or a clutch. This one was a huge trend of spring, and can easily be followed into the summer season. Shops all over the world rushed to stock up, after Kylie and Kendall Jenner both appeared in one. Again, they’re just the right mix of casual and class. To achieve this look, you’ll preferably need a black long t-shirt dress. Try and get one with a little bit of feature colour on it. Whether that be a pattern or logo. Usually blue or red goes nice against the black. You’ll then need some thigh high boots. Try and find a pair that lace all the way up the front, they’re so in fashion right now. Heeled or not it doesn’t matter, just make sure they’re black. Then to complete the look, finish with a black over the shoulder small bag. So the fashion of 2017 has seen some more casual looks creep in, we’re not complaining though! If you’re a retro enthusiast, you probably know a great deal about the fashions and technologies of bygone eras, but how much do you know about the way people in the past managed their finances? Probably not a great deal, which is a shame because there are are lots of things that the families of the 1940s and 50s could teach us in the 21st Century about managing our money. Anyone who grew up in the 40s and 50s will be able to tell you that luxuries were few and far between. Something as simple as receiving a mandarin in your Christmas stocking was a cause for celebration! It often seemed like everyone was struggling to make ends meet and that meant that luxuries were really luxuries which were only purchased very rarely for special occasions. What can you learn from this? When your skint and when you need cash fast, don't waste it on non-essentials - use it for only what’s necessary. When you can finally afford a little luxury, you’ll appreciate it all the more! A lot of people growing up in the 40s, in particular, would have spent a great deal of time growing and harvesting their own vegetables, rearing chickens and sewing their own clothing, quite often with wool from their own sheep! Whereas today, we pop to the store to buy all the things we need, in the past, self-sufficiency was much more common, and it meant that families could make their incomes stretch much further. We could all take a leaf out of their books and start doing more for ourselves, thus cutting the amount of our salaries that we give away to third parties. Although it was possible to obtain credit in the 50s, it was very much less common than it is now and many people were naturally wary of getting into debt for anything. It was, then, much more common for families to save a small sum each payday until they had enough to buy those things they needed, Today, we’re much more likely to put it on the plastic and worry about it later, but that’s why so many people are in so much debt and why we should perhaps look to the past for advice before we open another line of credit. In the 40s and 50s, it wasn’t unusual for everyone in the family, including the kids, to do some form of work. People in those times understood that if you want to improve your financial situation, afford the basics and a few of the more desirable non-essentials, you have to be willing to work hard. Today, a lot of people seem to think that everything should be handed to them on a plate, but that just isn’t reality. If you want to get anywhere in life, you have to be willing to put the hours in to get it. The 40s and 50s were simpler times in many ways, but for most people, especially in terms of finances, they were often harder too. Although we mostly have it easier now, managing our finances more like people from those eras can still help us to increase our financial stability and live better within our means. A certain lack of height can feel like more than a fact of life. When it comes to fashion, it can feel like a real hurdle that you have trouble getting over. However, that’s not to say that there isn’t a way. Here, we’re going to look at a few techniques to give you an extra couple inches, real and imaginary, for when you feel like making a bigger impression. It might seem like an answer that’s a little too obvious and even too easy, but the truth is that a top knot really does help not only add an inch or two but adds a sense of verticality to your profile, as well. It’s good that it’s very much in style, right now. Pair it with some stylish shades and a scarf to complete the celeb-on-the-down-low look. From the very top right to the very bottom, a pair of heels can do a lot of good. 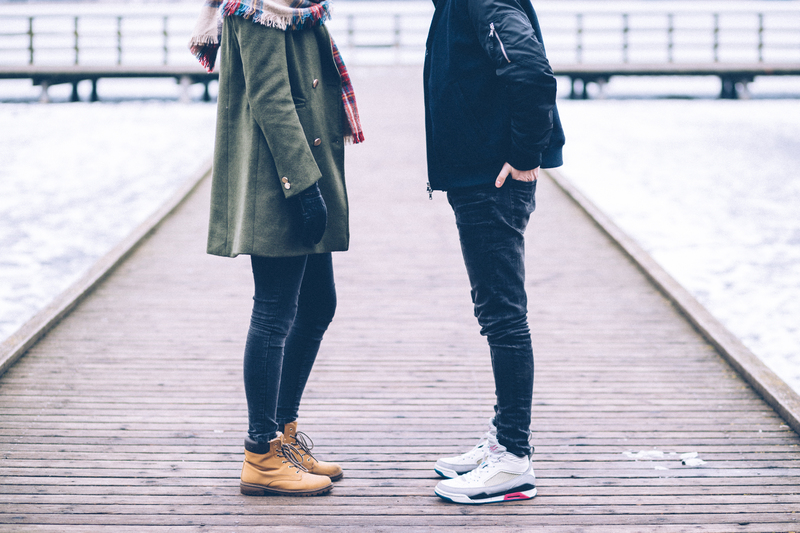 If you’re on the much smaller side, then finding heels in your size can be difficult, so it’s worth scoping out providers like Pretty Small Shoes. Contrary to popular belief, it’s not the heels themselves that do all the work. Pointed heels, in particular, make your legs look even longer, which makes you look taller than you are. Following with that same logic, there are other ways to make your legs look longer than they really are, too. Maxi skirts are currently in, and can make you look feminine and fit in perfectly with the summer style without having to expose the fact that your legs might actually be quite short. Choosing legwear that allows the flexibility for a high waist can achieve much the same, as well. If you’re going for jeans, then consider the flared variety. As Fashion Magazine shows, stripes are very much the rage this year. We’ve all heard the old tale, that has proven true many a time, that horizontal stripes can make you look wider if not used wisely. The same can be said for vertical stripes helping you look taller, too. Striped flowy maxi dresses can be a godsend, but if you feel like creating a stronger profile, pinstripe jackets can have much the same effect. Mixing and matching can be a lot of fun, but it also has the effect of visually drawing the eye to different parts of you individually. This breaks up the body, making it look all the shorter. On the other hand, going for the monochrome look makes you look leaner and longer. Play with different textures and patterns to make it look a little less like a uniform, but embrace the colour-coordinated look. Knowing when to play the cute petite card and when to pull out all the stops to look taller than you really are can add a lot of versatility to your look. Tip to learn a little magic and complete the illusion. Firstly, this smells like heaven! I'm not joking. The scent of the rosewater is so beautiful. The internet needs a scratch and smell feature. It's a hydrating mist so it's light and refreshing. Luxury in a bottle! 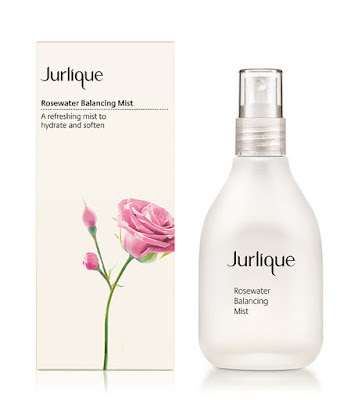 Jurlique Rosewater Balancing Mist is available in Jurlique stores, leading department stores, selected pharmacies and www.jurlique.com.au.